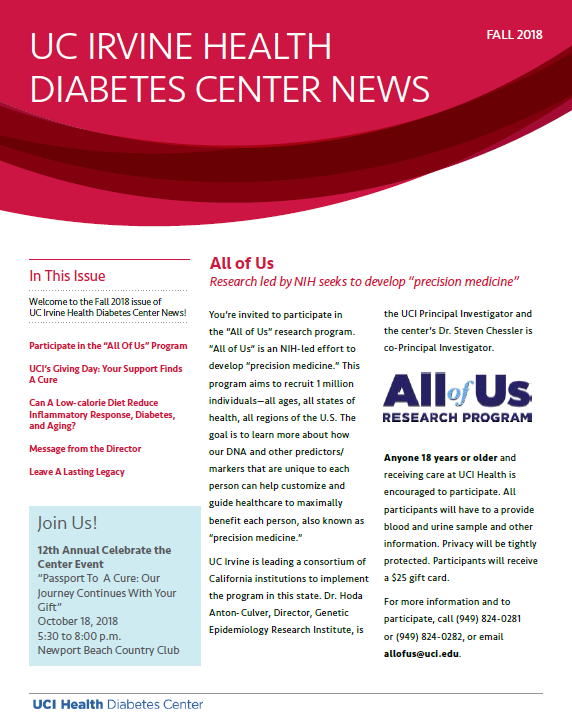 Find out more about the “All of Us” program, our upcoming annual event and a message from Director, Dr. Ping H. Wang. Want to get the newsletter at home? Send your name and mailing address to us at diabetes@uci.edu and we will add you to our mailing list! Or sign up for our monthly e-mail blasts to get all the latest news right in your inbox.